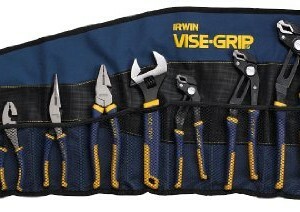 Irwin Vise-Grip GrooveLock pliers deliver exceptional performance every time, no matter what type of work surface. 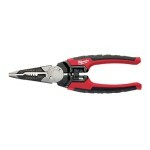 This 8-piece set of professional pliers (model 2078712) comes with a variety of tools–including three GrooveLock pliers, an adjustable wrench, a diagonal cutter, and more–to help you get your work done quickly. 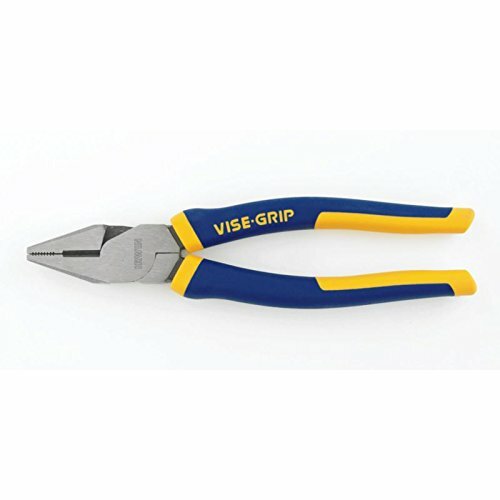 The all-purpose jaw of the Irwin Vise Grip GrooveLock pliers. 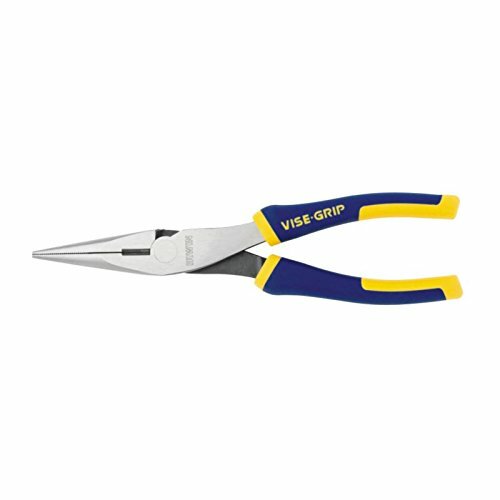 GrooveLock pliers are twice as fast as traditional groove joint pliers, offering precise jaw positioning with twice the groove positions as competing pliers. 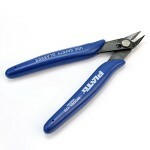 More groove positions also provide optimum hand location for a better grip on the work piece. 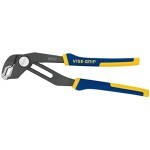 They have an all-purpose jaw that can grip flat, round, hex, and square surfaces. The GrooveLock’s ratcheting action enables the pliers to be adjusted from the open position up to the work piece by pushing the handle up. Plus the anti-pinch handles protect your palms in case the tool slips from the work piece. 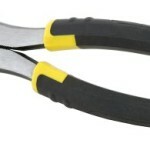 This set includes 8-, 10-, and 12-inch models of GrooveLock pliers. 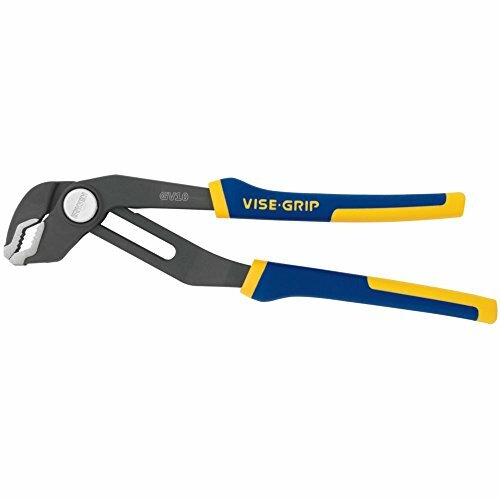 In addition to the three GrooveLock pliers, this set comes with a 10-inch adjustable wrench, 8-inch long needle-nose pliers, 8-inch linesman pliers, 6-inch diagonal cutter, and 6-inch slip-joint pliers. 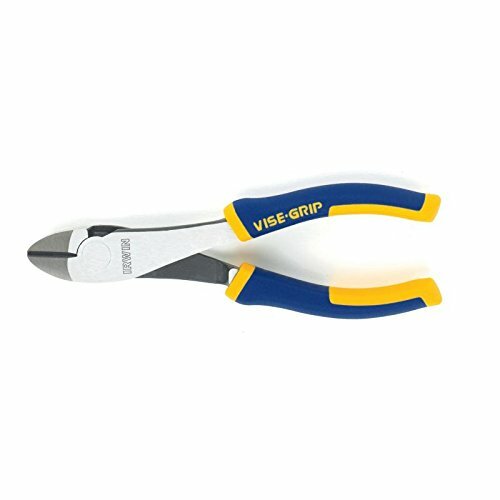 You’ll be able to grab, cut, fish, and strip with a single tool using the linesman pliers, while the diagonal cutter has a sharp, heat-treated cutting edge for durability and long life. 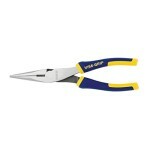 The needle-nose pliers are made of tool grade steel and feature hardened cutting edges. 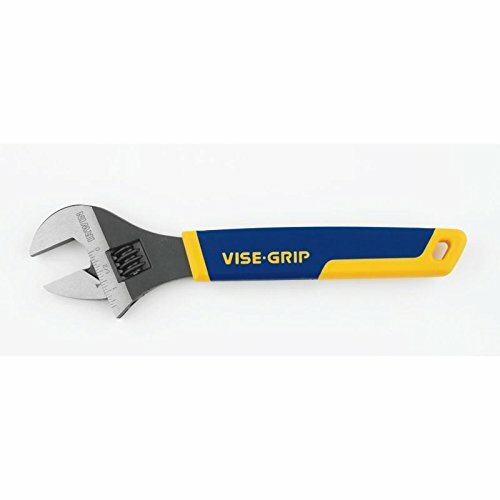 All tools include ProTouch grips for extra comfort and reduced hand fatigue. This set also includes a kitbag that rolls up for easy storage and transport. 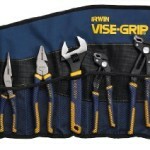 The tools are backed by a full lifetime warranty. 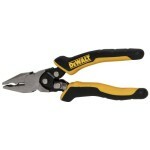 Precise jaw positioning, multi-groove ratcheting system (view larger).